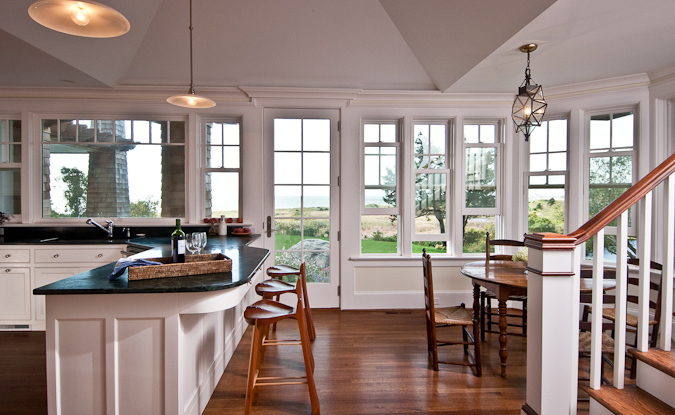 The talented Michael McKinley and Associates is yet another one of our favorite architecture firms that incorporates all that we love, from the architectural design, interior design and breathtaking views. 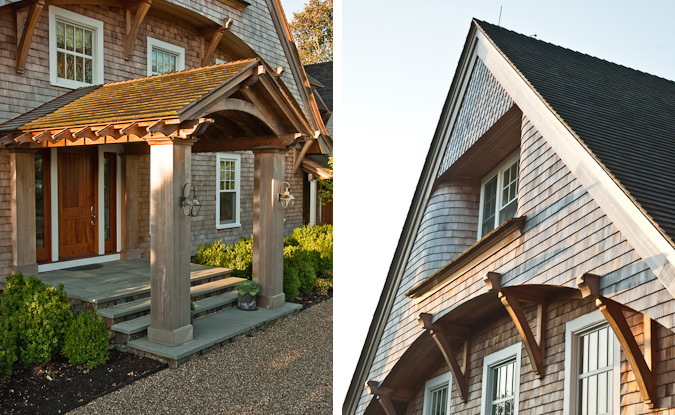 This seaside home in Watch Hill, Rhode Island has caught our eye, read more to see why! 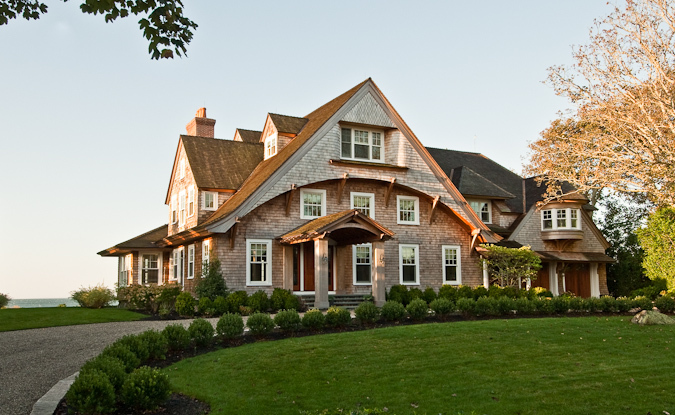 The exterior of this gorgeous home has a northern yet coastal feel. 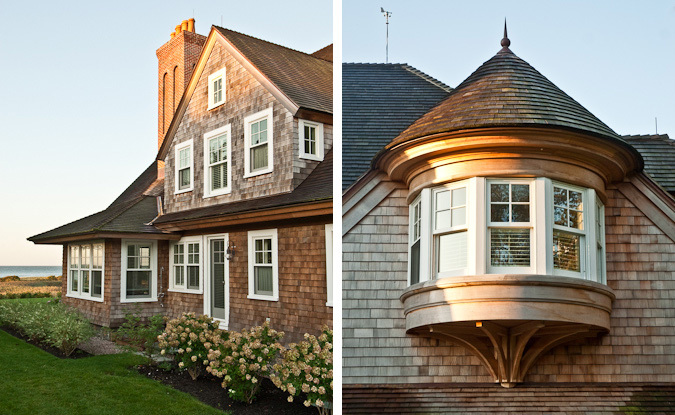 With the neutral wooden shingles and white trim around the windows the colors are not overstated keeping a subtle, welcoming atmosphere. The rounded look out point gives off a lighthouse kind of feel, incorporating more of a coastal, view-oriented environment. The large outdoor living area creates a great space for entertaining, summer barbecues or peaceful reading. 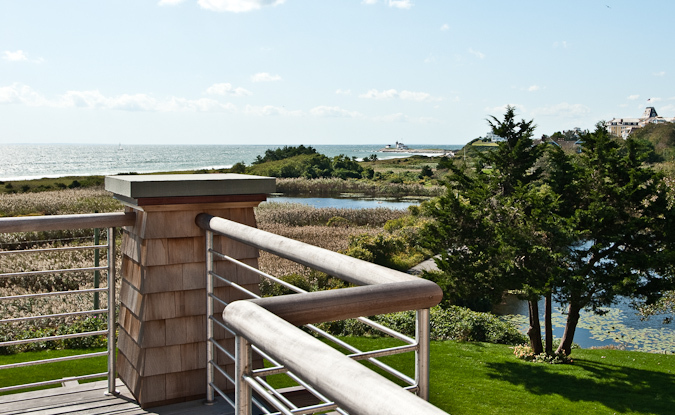 With this second story deck looking over the entire Rhode Island coast, who would ever want to leave? 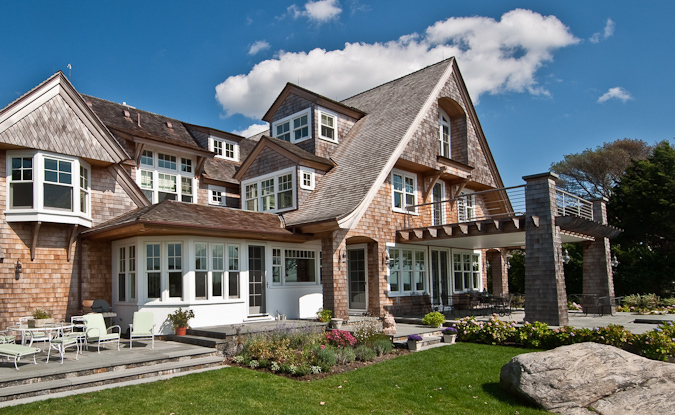 The architectural detail put into every aspect of this home is astounding, from the welcoming entrance way to the trim outlining every window, it is clear a lot of thought went into these plans. Keeping the neutral color scheme throughout the interior as well the wood and white with countless windows makes the view the focal point in every room of the house. 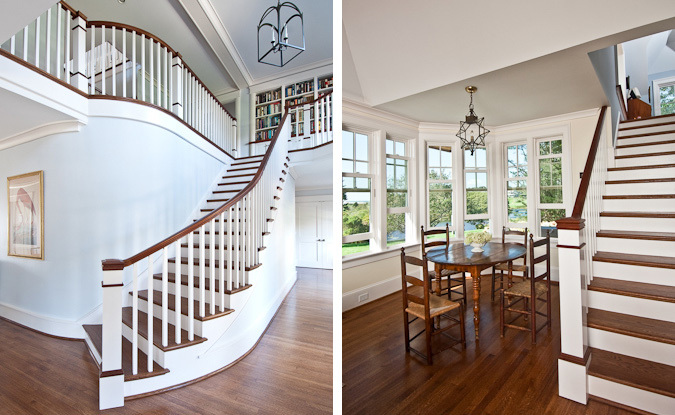 The stairs leading up to a book case create a sophisticated yet simple look, while the endless windows with a dining table incorporates as much light as possible, perfect for an afternoon snack! This unique bathroom has used up all the space possible and still manages to look very chic. 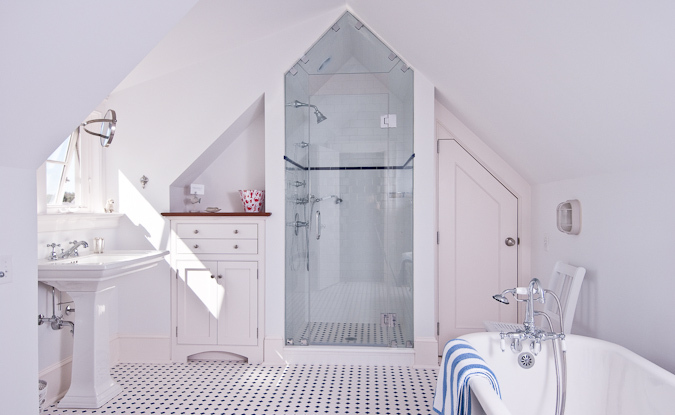 The all white looks very crisp and the arched shower is something you don't see everyday!